Key difference: The term ‘hardware’ is used to refer to the physical components of any electronic devices such as the CPU, peripheral devices and its memory. Firmware is a set of instructions or programs written in machine language which are used to operate hardware. For people who are not familiar with the basic computer and electronic device terminology, references to firmware, software and hardware may be confusing. The basic difference between them is that each has different roles to play in a device. Hardware is the physical equipments of the system, software is set of programs that are executed in hardware, and firmware is used to operate the hardware. The term “firmware” is defined as a pre-written program that is stored in the ROM. It helps to configure the devices and cannot be easily modified by users. The instructions are coded in Basic Input Output Service (BIOS) and is stored in ROM. ROM contains the loader program which helps to load a program into the device memory. Some typical examples of devices containing firmware in their systems are watches, computers, mobile phones, camera, etc. According to Wikipedia, firmware is the combination of persistent memory, program code and data which is stored in it. The firmware stored in these devices is the control program for the device. It is held or stored in the non-volatile memory devices such as ROM, EPROM or flash memory. The firmware memory of a device is permanently installed and cannot be changed after manufacture, which is why the firmware is rarely or never changed. However, there are a few reasons for updating the firmware such as fixing bugs or adding new features to the device. This requires reprogramming the flash memory of the device by a special procedure. In other respects, the various firmware components are important in the operating system of a working computer. Firmware is a program of an embedded system that runs on the system and provides all its functions. The term ‘hardware’ refers to a tool, a machine, an implement or any other durable equipment. It may also refer to a machine, wiring, and any other physical component of a computer or of another electronic system. Some examples of hardware devices are monitors, keyboard, mouse printer, etc. Hardware is the term given to the machinery itself and to various individual pieces of equipment. It is best described as a device that is physically connected to your computer or something that can be physically touched. Most hardware contain a circuit board, ICs, and other electronic circuit parts. A perfect example of hardware is a computer monitor, which is an output device that helps to see what one is doing on the computer. A hardware upgrade is any new hardware that replaces or adds to old hardware in a device. An example would be a RAM upgrade, where it increases the computer's total memory, which then increases the overall speed and efficiency of the device. 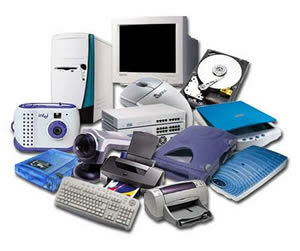 The term ‘hardware’ is basically used to refer to the physical components of any electronic devices. 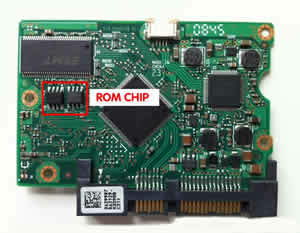 There are many different kinds of hardware that can be installed inside or can be connected to form the outside to any electronic device, which are known as internal hardware or external hardware. Here, firmware is used to operate hardware devices and is stored in hardware circuits. Firmware is a set of instructions or programs written in machine language which are used to operate hardware. The term ‘hardware’ is used to refer to the physical components of any electronic devices such as the CPU, peripheral device and its memory. It is the set of instructions. It is the physical unit of a device. It is stored in hardware. It is a complete unit or device. It cannot be or is hardly changed after production. It is not easily modified by the user. It can be changed after production. It is easily modified by the user. It is the heart of the device. It is the body of the device.